Rest assured, the Galaxy Nexus news mill won’t stop churning any time soon. The latest? Yep, Verizon has plenty of handsets on order. Not seen in the above screen capture: date the handsets will arrive, date the Galaxy Nexus will be available for purchase, price of the said Galaxy Nexus. Maybe we’ve just been naughty this year, but Verizon please don’t leave us with coal in our stockings. 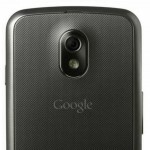 Rubbing a bit of salt in the wound, Rogers in Canada has gone ahead and opened pre-orders for the Galaxy Nexus. The phone won’t even be available until January 2012, but the carrier seems to realize that more than a handful of customers will eagerly plop down $40 to cast dibs on the first pure Google Android 4.0 smartphone.